Our December 2012 newsletter is available here. Catch up with all the seasonal news and events! This entry was posted in Uncategorized on December 17, 2012 by Transition Tavistock. We’d like to thank Mayor Anne Johnson for launching the car club car on Friday (14th Dec). Situated in the corner of the Guildhall car park, the car is available for any member to use. 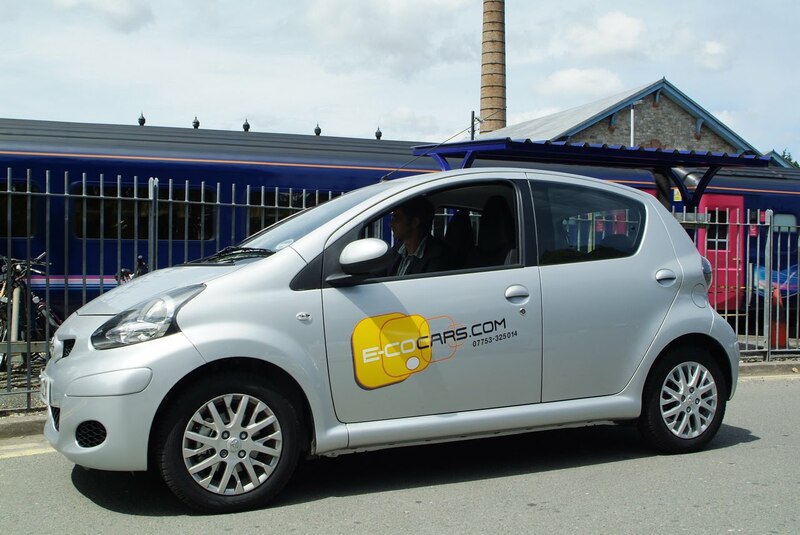 To join, just sign up at www.e-cocars.com and you’ll be sent a smart card which will provide access to the car. The first 10 members to sign up won’t need to pay the £25 membership fee … so hurry! Rachel Harris has agreed to be the caretaker. See her blog here. Tavistock’s Car Club finally arrives …. After months of hard work by Jeremy Farr from e-cocars, supported by the Town Council, Transition Tavistock among others, and importantly the Greater Dartmoor Leaf, our first car arrives on Friday 14th December at midday (12:00). Tavistock is now ready to join the growing number of communities – from Devon to the Highlands of Scotland – that have realised the benefits of having a car club. A car when you need it. All tax, insurance, repairs etc paid. Pay only for the hours you use the car and mileage. If you don’t want the cost of car ownership but need a car for a few journeys a week or occasional trips why not find out if joining a car club would be the answer for you. The first 10 people to sign up in Tavistock will not need to pay the £25 registration fee. The car will have a designated parking place in the Guildhall car park, Bedford Square, providing easy access. Come and join us there on Friday at 12:00. To join the car club just go to www.e-cocars.com and sign up. On joining you’ll receive a smart card to open and operate the car and full instructions. Sign up today and it might be possible to get your smartcard on Friday (to be confirmed). For more details contact www.e-cocars.com; Jeremy Farr on 07753325014 or Kate Royston (Transition Tavistock: kate.royston@robbeesmole.com; 07969-569-444). This entry was posted in Uncategorized on December 14, 2012 by Transition Tavistock.